The Interpol has issued a Red Notice against former Central Bank Governor Arjuna Mahendran in connection with the Central Bank Bond issue. This Red Notice had been issued pursuant to a request made by the Criminal Investigation Department after providing information on the case. It is issued by the Interpol at the request of a member country based on a valid national arrest warrant. 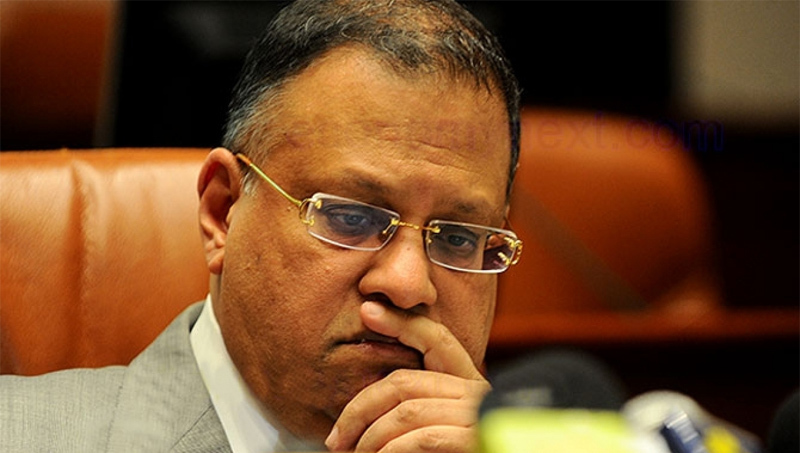 On a previous occasion, the Colombo Fort Magistrate had issued a warrant written in English for the arrest of former Central Bank Governor Arjuna Mahendran, in connection with the Central Bank Bond issue. Magistrate Lanka Jayaratne had issued a warrant against Arjuna Mahendran, the first suspect in the case, since he failed to comply with court orders. On a previous occasion, Perpetual Treasuries Limited (PTL) beneficiary owner Arjun Aloysius and its Chief Executive Officer Kasun Palisena, arrested in connection with the Central Bank Bond issue, were ordered to be further remanded till April 26 by the Colombo Fort Magistrate’s Court. On February 16, Magistrate Lanka Jayaratne refused to release the two suspects on bail, citing that reasons given by the defence were not sufficient to consider releasing the suspects on bail under exceptional circumstances. The suspects have been charged under the Public Property Act, Penal Code, Registered Stocks and Securities Ordinance and Code of Conduct for Primary Dealers for illegal insider trading. Filing a B report before the Colombo Fort Magistrate’s Court regarding the Central Bank Bond issuance on February 27, 2015, the CID had named former Central Bank Governor Arjuna Mahendran, Perpetual Treasuries Limited (PTL) beneficiary owner Arjun Aloysius, its Chief Executive Officer Kasun Palisena and the PTL as suspects in the case. The prosecution maintained that there had been a direct loss to the government following the issuance of bonds on February 27, 2015. The bond commission report has revealed that PTL has illegally earned a profit of at least Rs. 688 million from the concerned bond auction . The prosecution said that Arjuna Mahendran can be charged with the criminal breach of trust, misappropriation of public funds and two others for aiding and abetting to commit this offence.